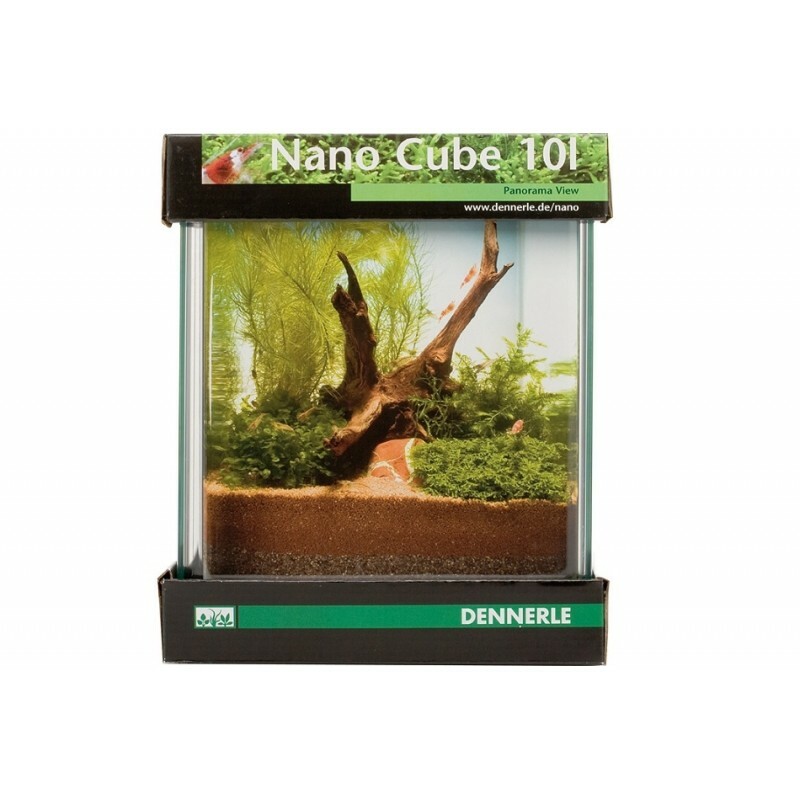 Pro Shrimp's comment: Dennerle is one of the leading Aquascaping and Nano Aquarium manufacturers. These tanks are of the highest quality and much thought has gone into their development. 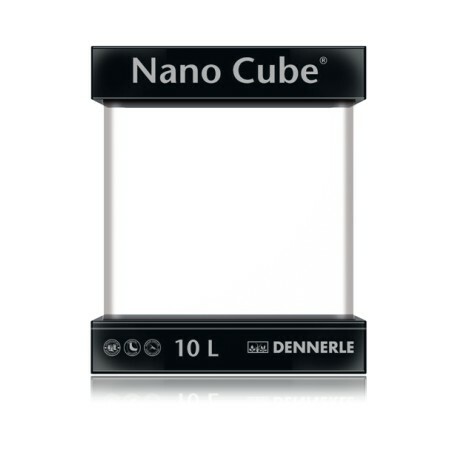 Dennerle is offering a full range of products around their Nano Aquariums from different lighting to high tech filtering options. 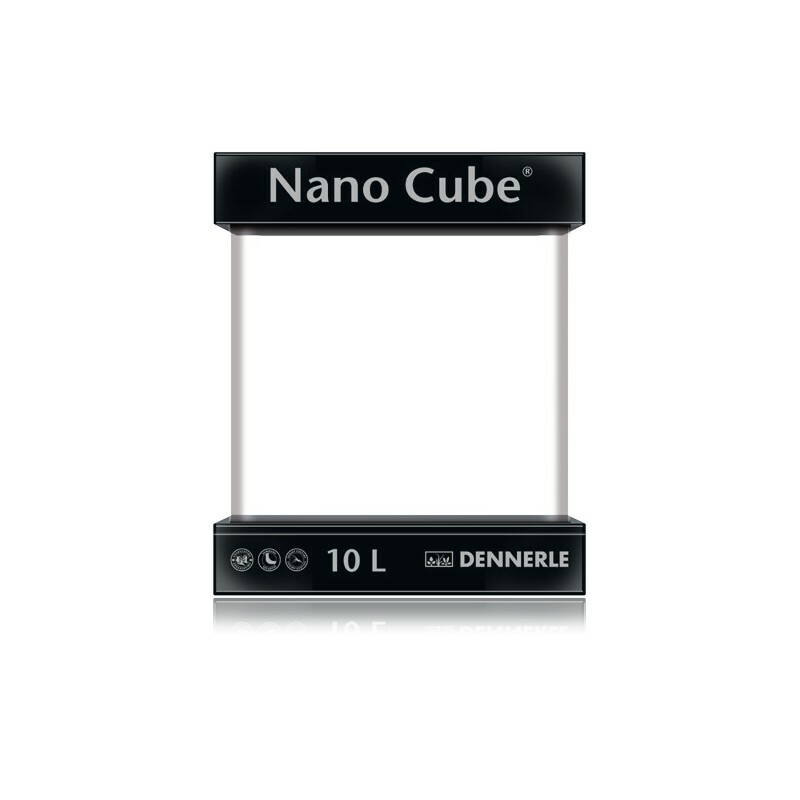 The seamless front corners allow for panoramic views and the open top creates a modern finish. 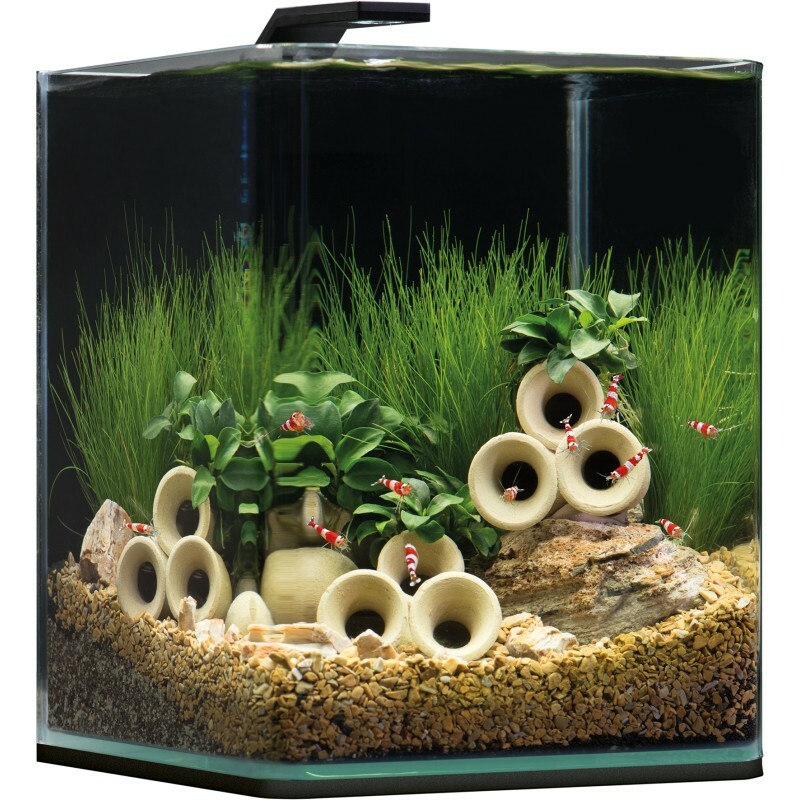 These tanks include a cover plate for the top to reduce condensation and protect the inhabitants. 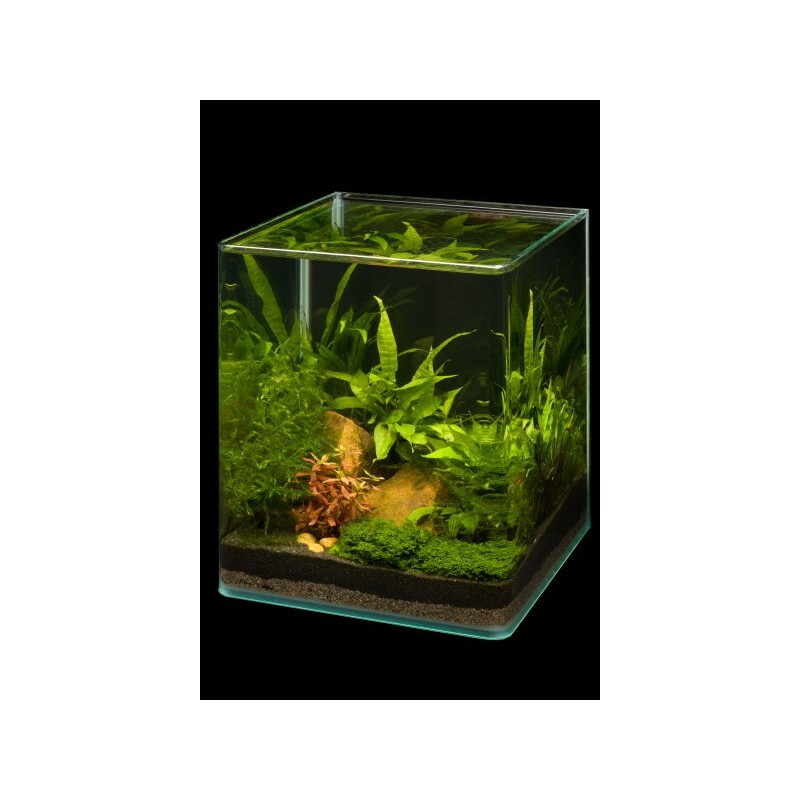 This is only the tank, enabling you to use the light and filter of your choice - a blank canvas of sorts.